Posted January 31, 2017 (edited) · Can someone explain this? 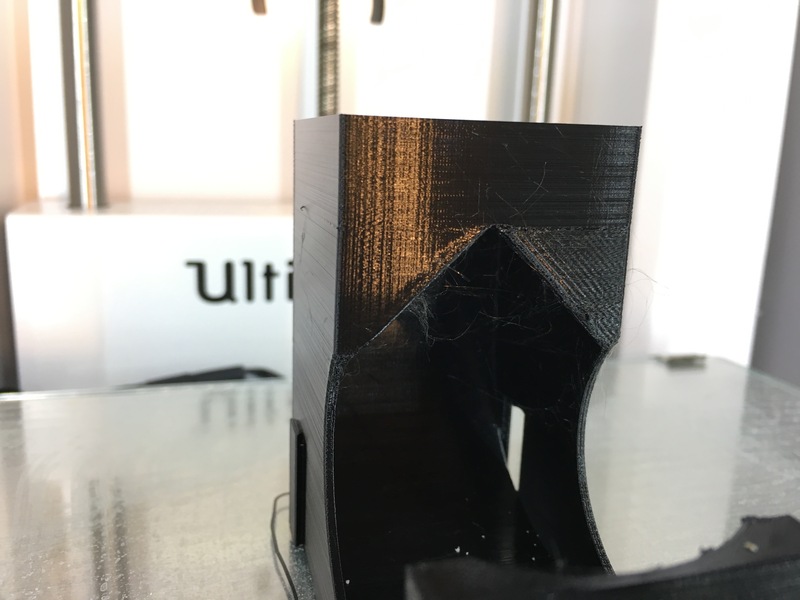 I have an Ultimaker 2+ for about a month. 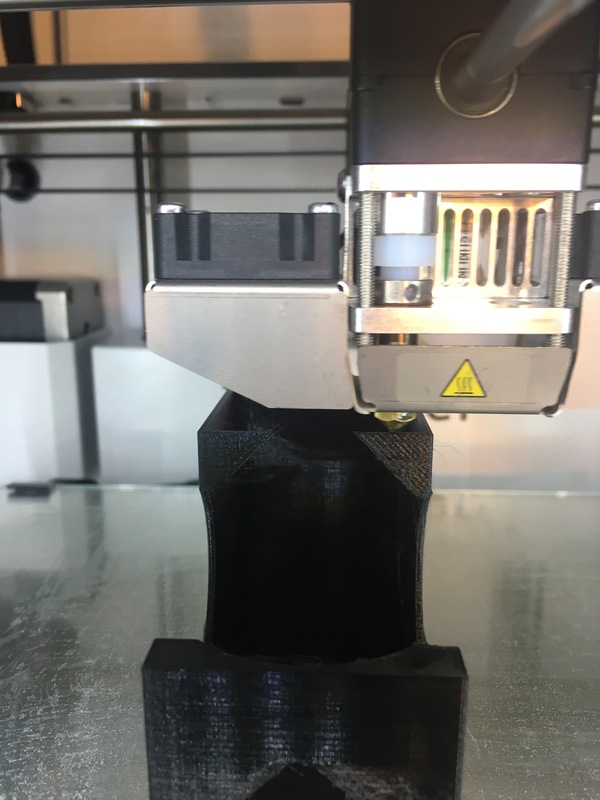 I tried to print some Nespresso Caspulate Dispenser I desinged myself. They have a triangle cut out, and therefore some overhangs. The strange thing is, that on the left hand side, they look really good, while on the right hand side it looks a bit clumsy. 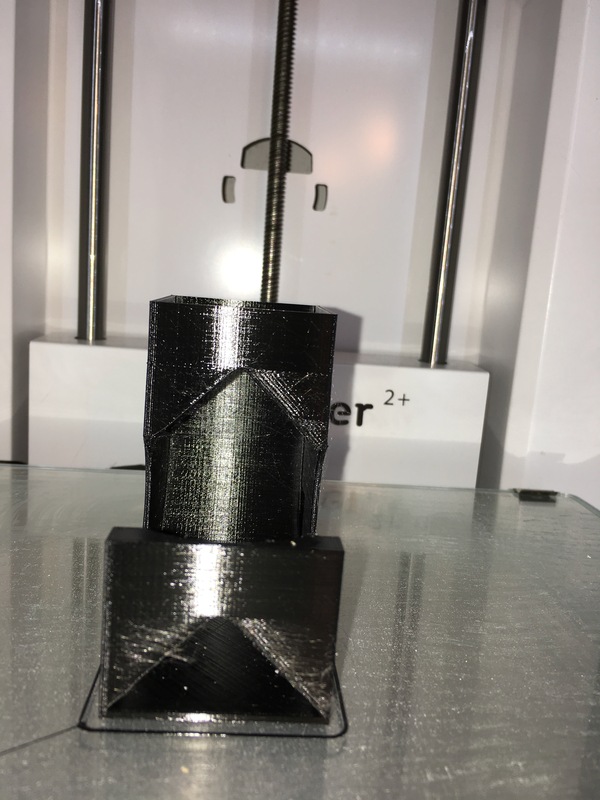 I have also changed the nozzle (from 0.4 to 0.25) to see, if it has something to do with the wall thickness. The curaproject (as I'm using 2.4 BETA right now is here https://hyttioaoa.de/tmp/Nespresso.curaproject.3mf). Edit: I'm using PETG as material. And I already set down the travel speed to the same amount as printing speed, to reduce vibrations. Did I mess it up with some settings, or is the model somehow strange? Thanks a lot for any hint in which direction I have to think. Posted January 31, 2017 · Can someone explain this? one thing you can try is to rotate the object 90 degrees. 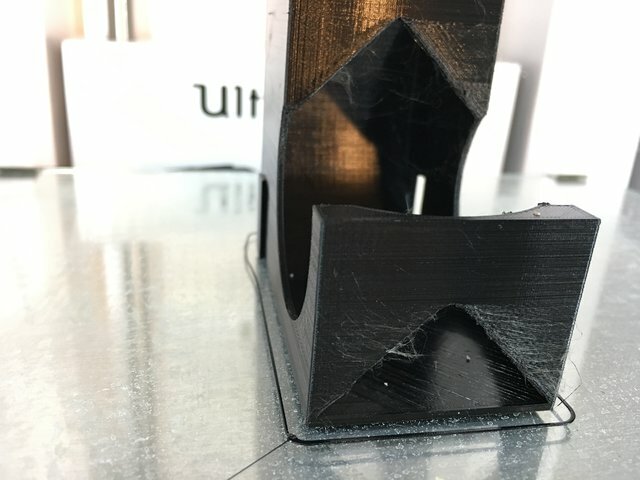 What you are seeing has to do with the fans and cooling and because the nozzle is closer the left fan, cooling the object is uneven. Look what area needs the most cooling and place that towards the left fan. Posted February 6, 2017 (edited) · Can someone explain this? One side good vs. the other one clumsy is almost always due to print cooling... Since your machine already has two fans, you need to first check if they bot run and about equally good... if not, replace the fan. Meanwhile, you can orient the difficult parts of your model towards the side where cooling works best.